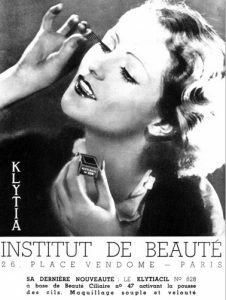 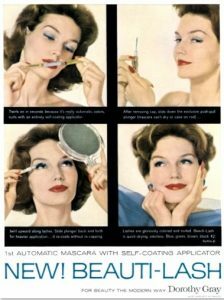 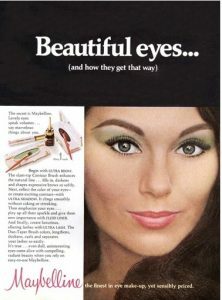 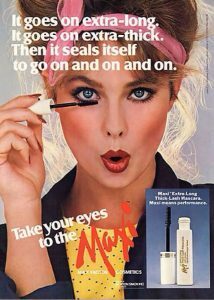 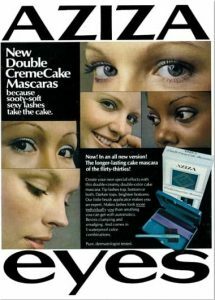 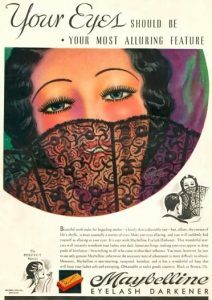 One of the first advertisements of Eyebrow-Ine. 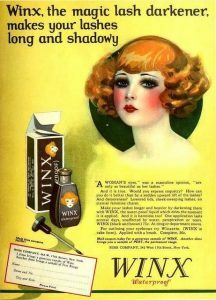 This was the first name registered and introduced to the market. 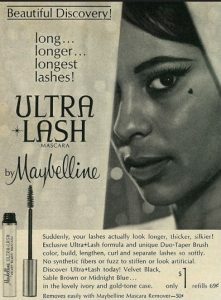 It was a combination of syllables form “eyelash”, “eyebrow” and “Vaseline”. 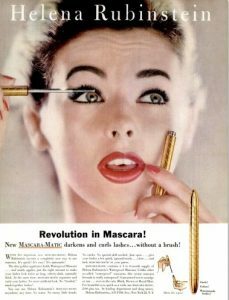 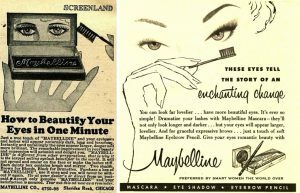 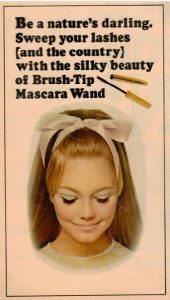 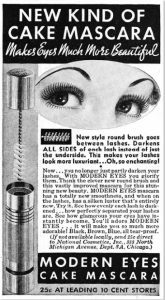 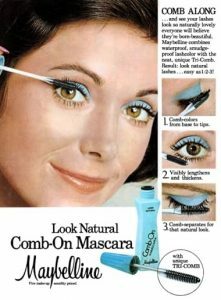 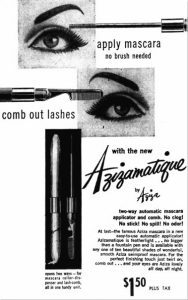 One of the marketing strategy of Lash-Brow-Ine was that they claimed that it ‘nourished and promoted the growth of eyelashes and eyebrows’. 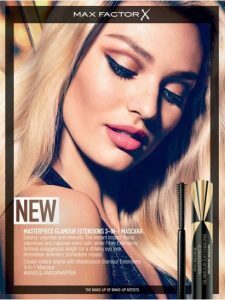 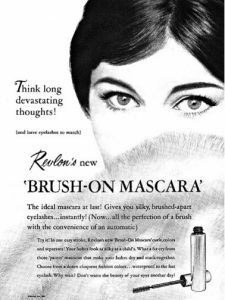 In the pamphlet that came with the mascara suggested it could also be used to cure baldness. 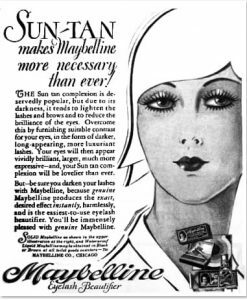 At the time it was belived that Vaseline would stimulate hair growth, so many men also used to apply the product on their bald spots on their head. 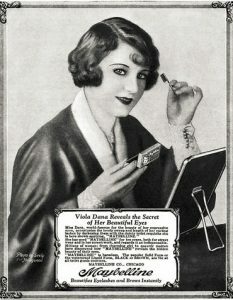 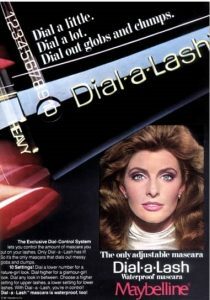 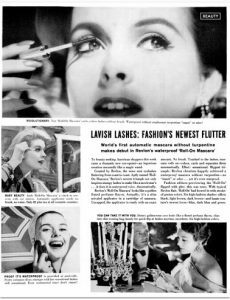 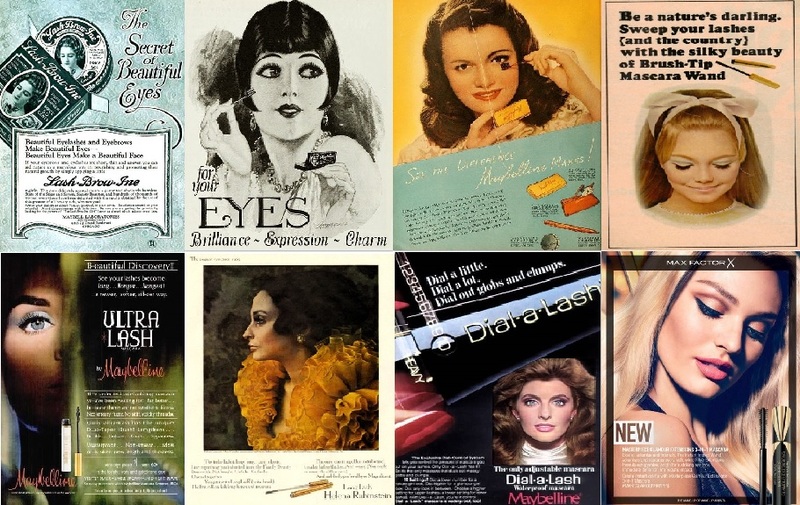 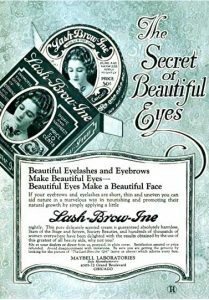 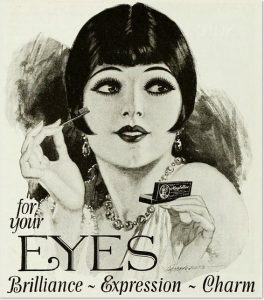 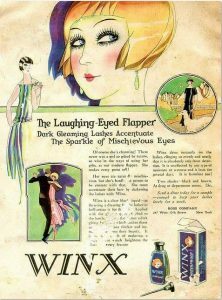 in 1920 the founder was sent to court to dispute the name with the founder of “Lashbrow Laboratories”. 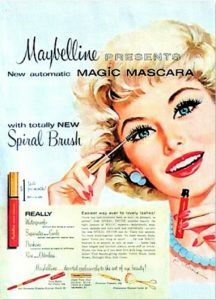 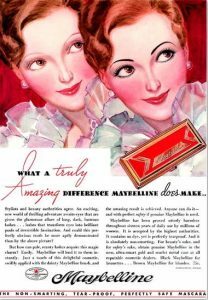 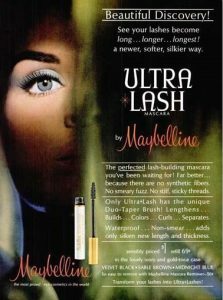 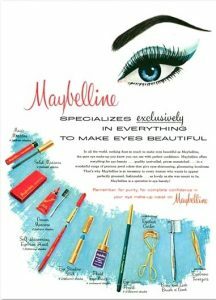 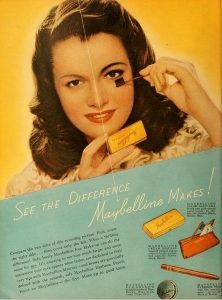 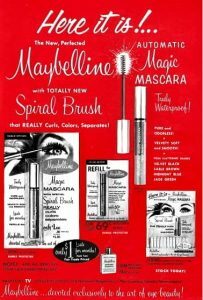 Williams was ordered to remove the name and then he changed to “Maybelline”, in honor of his sister Maybel. 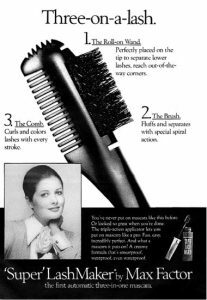 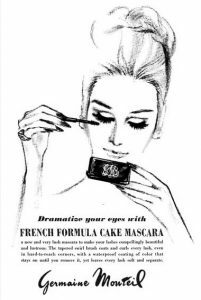 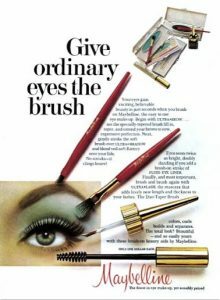 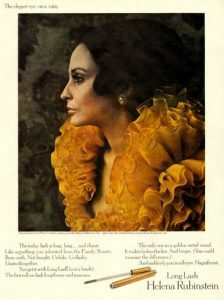 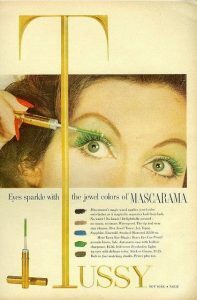 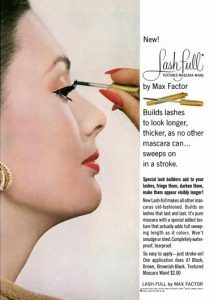 1969 Helena Rubinstein Long Lash Mascara with nylon fibres to lengthen the lashes.